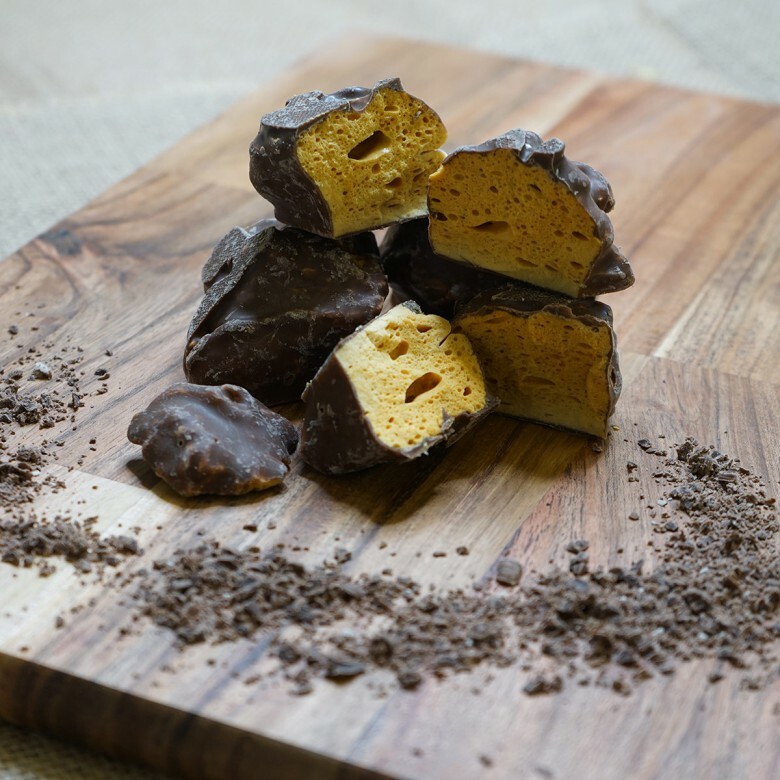 Cinder Toffee – This honeycomb toffee is hand made in small batches and it has a crisp crunchy texture. When melted in your mouth it crackles and sticks to your teeth. Hand coated in a Belgian milk chocolate. Ingredients list: sugar, glucose syrup, bicarbonate of soda , whey powder MILK, WHEAT flour, calcium carbonate, iron, niacin, thiamine, fat reduced cocoa powder, emulsifiers: SOYA lecithin E476. Cinder Toffee is available in two sizes; a 150 gram bag or a 450 gram box.